Supported by the twin aluminium frame, KLICKfix Countour Max bags are able to bear a greater amount of weight than regular Countour bags. 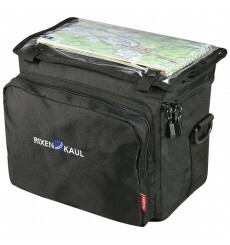 Additionally, Contour Max bags provide good protection against dirt and water. 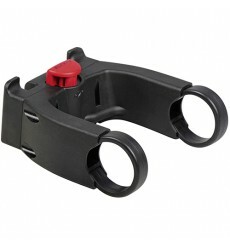 KLICK FIX Handlebar Adapter E Wider version of the classic KLICKfix adapter that can be mounted without getting in the way of e-bike displays. 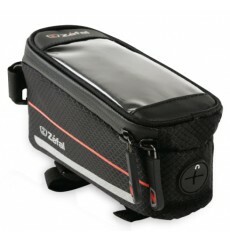 2 in 1, the ZEFAL Z Console L is a front bag with an integrated compartment for smartphones. 2 in 1, the Z Console Pack M is a front bag with an integrated compartment for smartphones. The KLICKfix DAYPACK handlebar bag prove its worth. 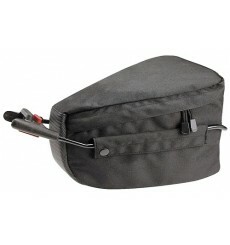 The KLICKfix DAYPACK BOX handlebar bag is very compact and complete. The KLICKFIX Contour bike bag for seat post fits perfectly on a bike without luggage rack. 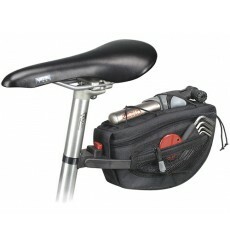 The KLICKFIX Contour SF bike bag for seat post is ideal for small frames. 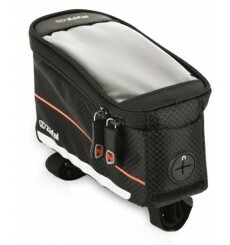 The KLICKFIX CONTOUR Magnum bike bag is the top model of the Contour range. The KLICKFIX CONTOURA bike bag fits perfectly on MTB bike. 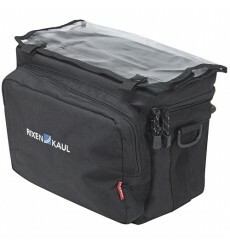 The KLICKFIX Contour Mudguard bike bag is an intermediate model.